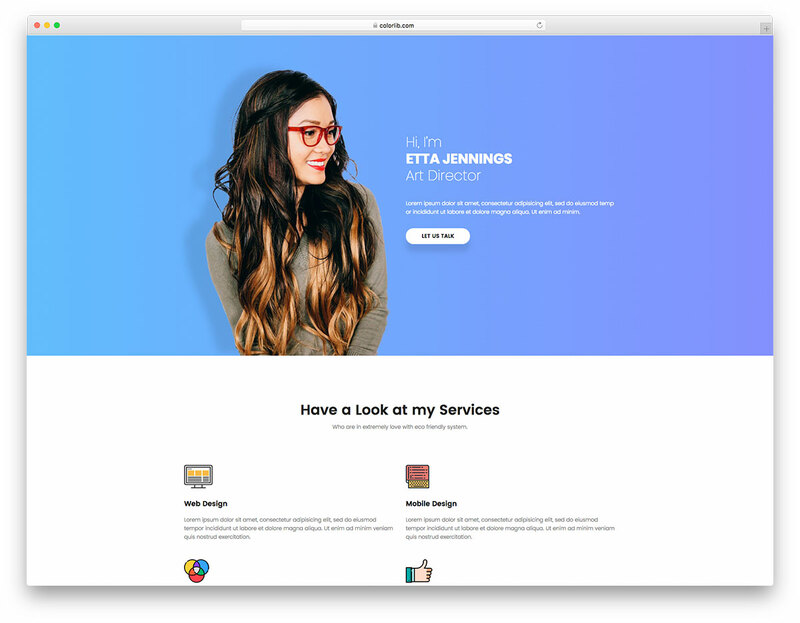 Personify provides all the necessities to build a unique personal/VCard website. 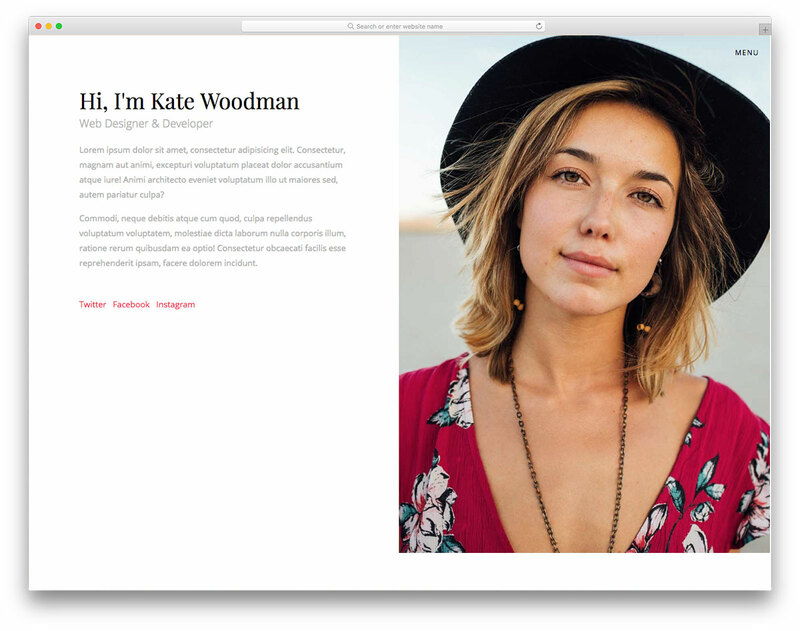 It sports a split screen web design where one half is dedicated to your information and the other half to your picture. 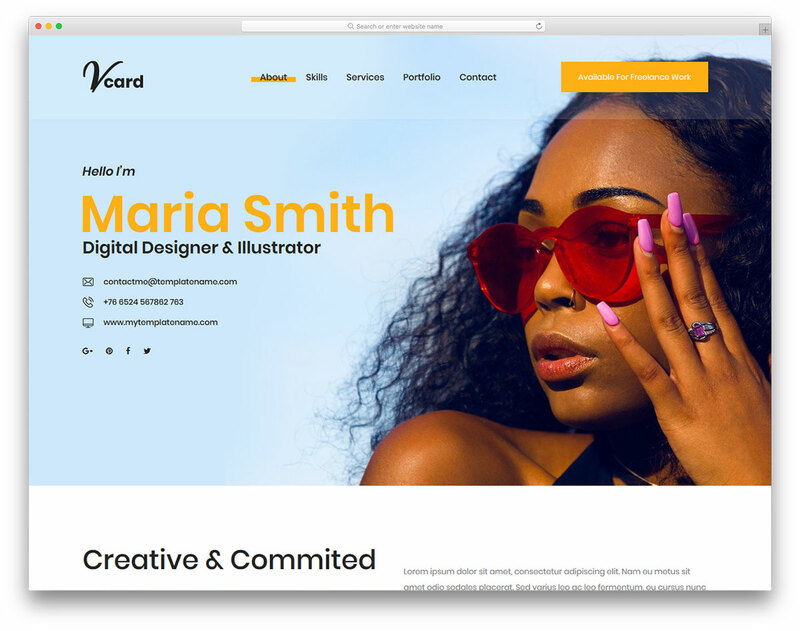 This free personal/VCard website template is exceptionally neat for you to appear online in a distinctive way. An easily recognizable website follows once you turn the HTML tool into a functional outcome. To go against the norm is something very achievable with Personify. 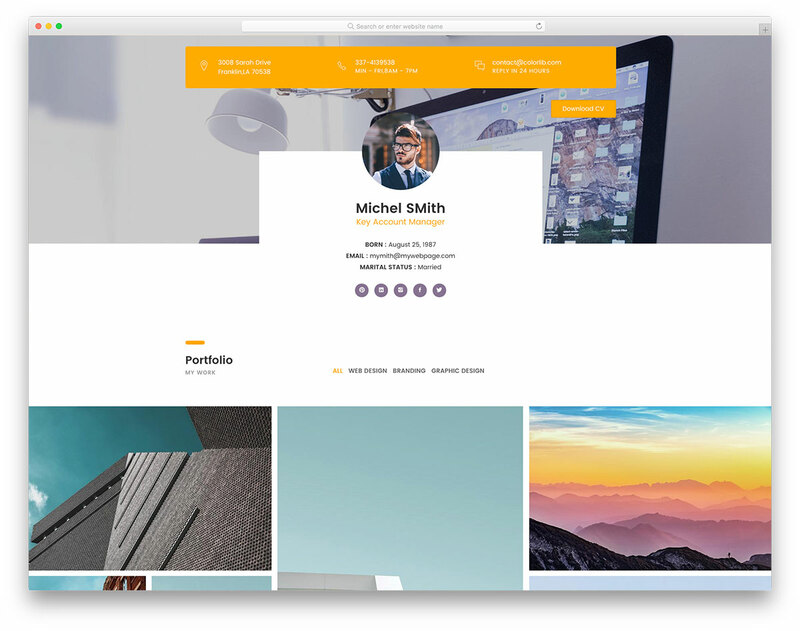 Advertise your enticing portfolio, create a tempting resume and write a captivating bio for a personal website everyone will take pleasure in. Whether a freelancer or a job seeker, Personify does you both abnormally well. Give yourself a chance to show your brilliance online and thrive. 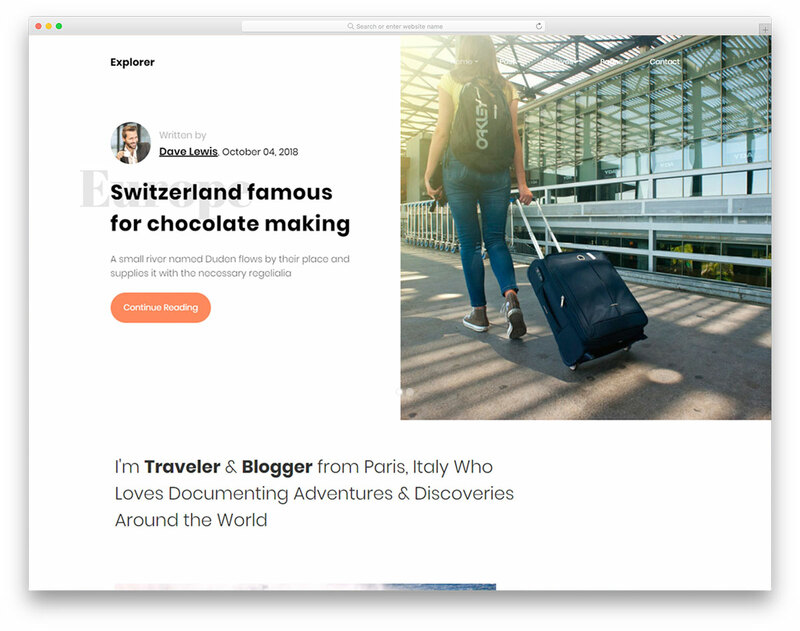 I tried to install personify theme for wordpress. However, i cant upload it. 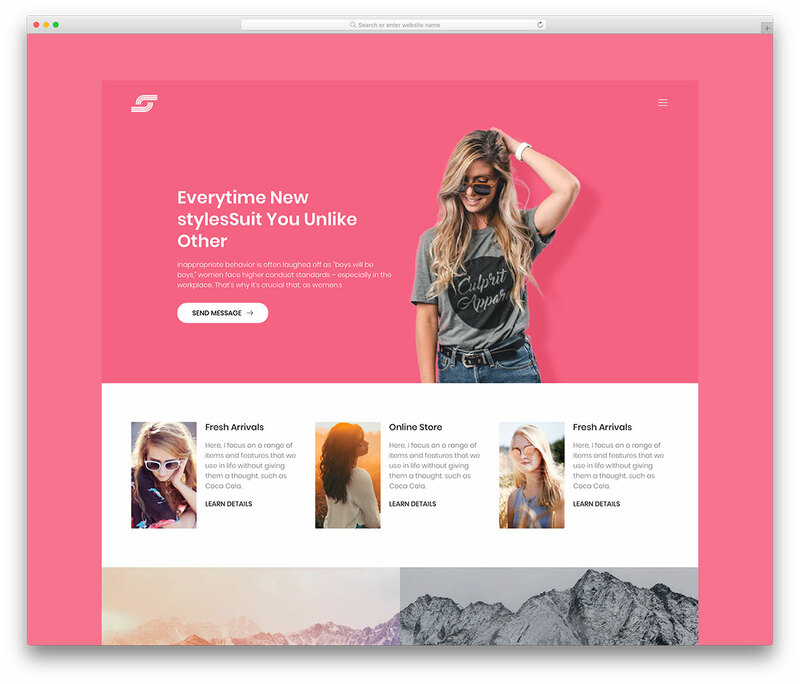 It returns an error: the theme does not contain style.css file. You are getting this error because this is not a WordPress theme but a simple HTML template. I downloaded this and it wont let me install on wordpress, how do I open it to edit it to my information? It is not going to work in WordPress because it is a HTML template. You can change information using any text editor such as Sublime Text, Atom or other. 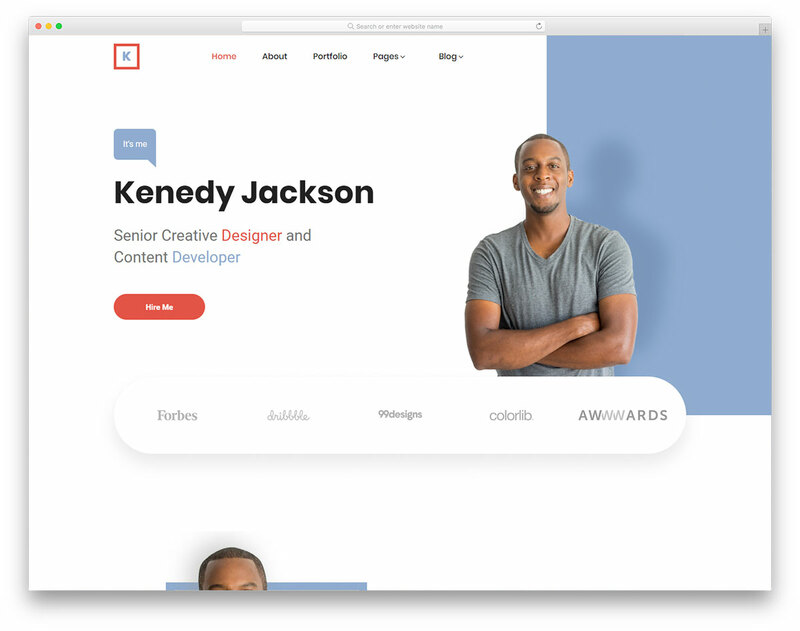 I am trying to find where I can change the color scheme of this template and also where to include my email in the html to ensure that when the user clicks the submit button it is sent to my email address. Any help would be appreciated thanks! The theme has a contact form but does not include any of the ‘wiring’ to make the form actually send an email. If that PHP script is not included, it would be helpful that that would be called out here.